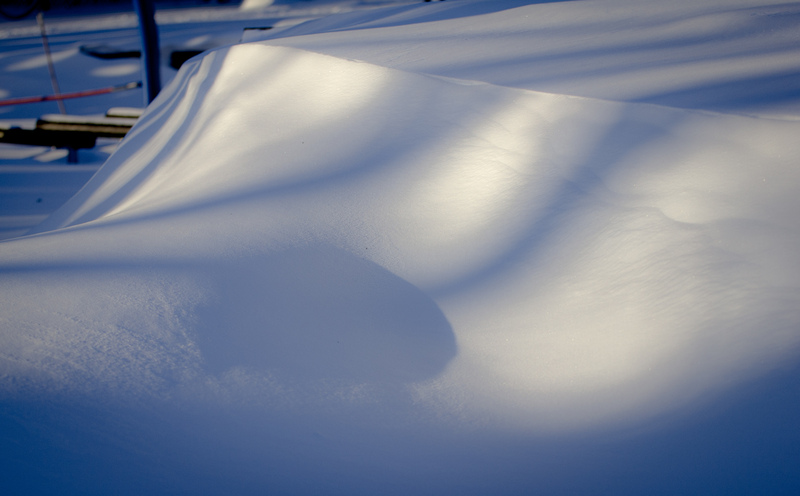 Snow curves atop a retaining wall at the Stratton School playground. Early January in Arlington. Brrrr!